FoneHome is the best and most comprehensive solution for tracking your iPhone, iPad, or iPod touch and protecting it from loss or theft. 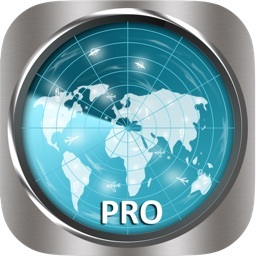 It has the most features, highest reliability, and best value of any iOS tracking app. 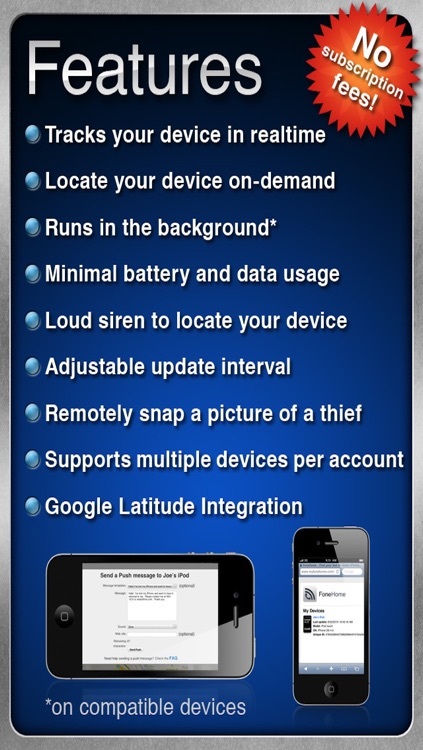 Install it today and gain peace of mind knowing you have FoneHome to help you recover your device if it is lost or stolen! FoneHome runs in the background on your device, transmitting its location to our servers as it moves. 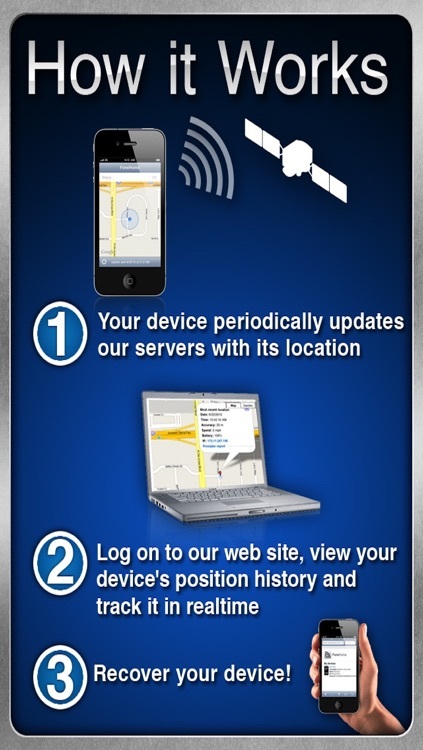 In the event your device is lost or stolen, sign into the FoneHome website to view its current location and access a comprehensive collection of tools designed with one goal in mind - to help you get your stuff back! 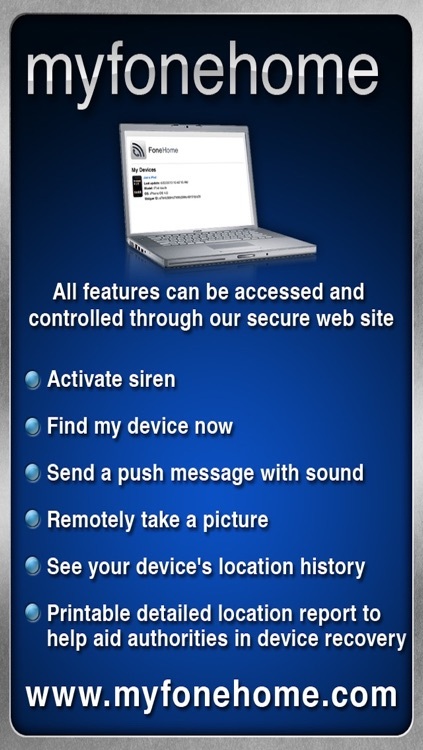 ► Remotely take a photo using your device's camera if a thief views your message and view it from our web site! FoneHome has helped thousands of users successfully recover their devices. It is an app everyone should own to help them keep track of their expensive Apple equipment. 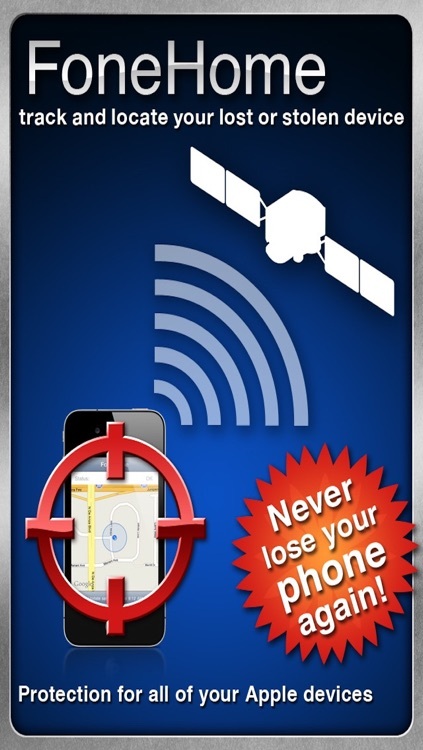 Install it and protect your device now while it's cheap rather than regretting it later when you lose your device! 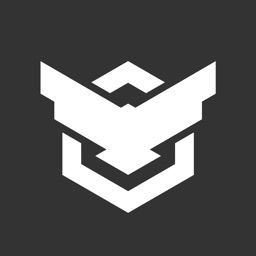 ► Auto-restarts anytime you reset the device. Set it up once and forget it! 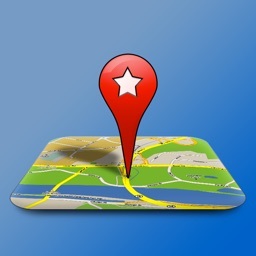 ► Print a detailed report showing information about your device as well as its current location and approximate address. 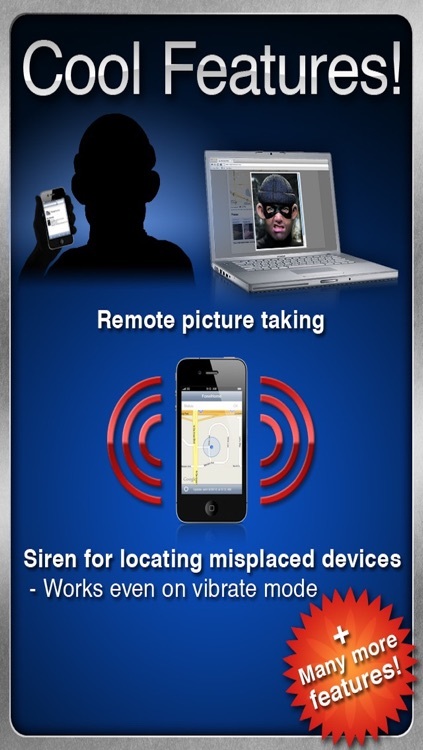 This report can be given to the police to aid them in recovering your device if it is stolen. * Runs on any device with iOS 6.0 or above. 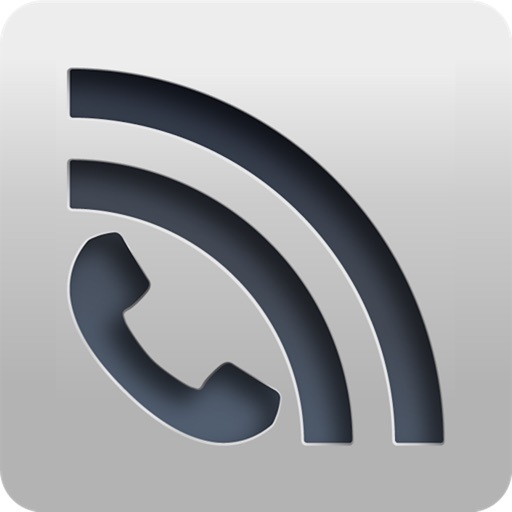 * Once FoneHome has been installed and registered on your device, you will be able to send a push message to your device at any time using the FoneHome website. If you send your device a push and someone swipes to unlock the device while the push is still on the screen, FoneHome will start up and transmit the device's position regardless of whether the app was previously running. 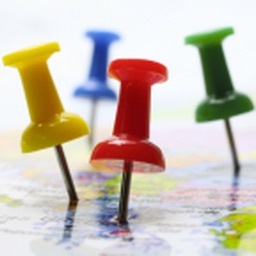 * On devices without GPS capabilities (iPod touches and WiFi-only iPads), FoneHome determines the device's location using its Wi-Fi connection.